ALl images Jorge Cousillas / El Ojo Náutico. 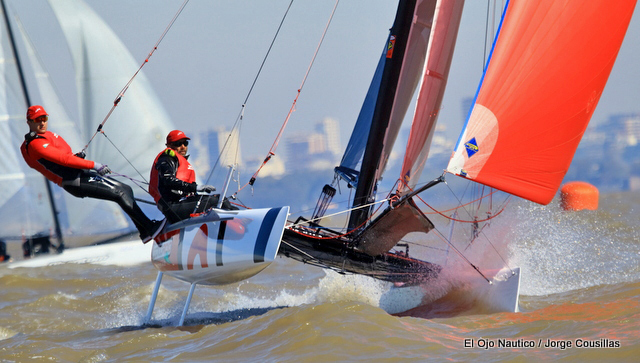 Local Buenos Aies fleet keeps training for the Worlds. 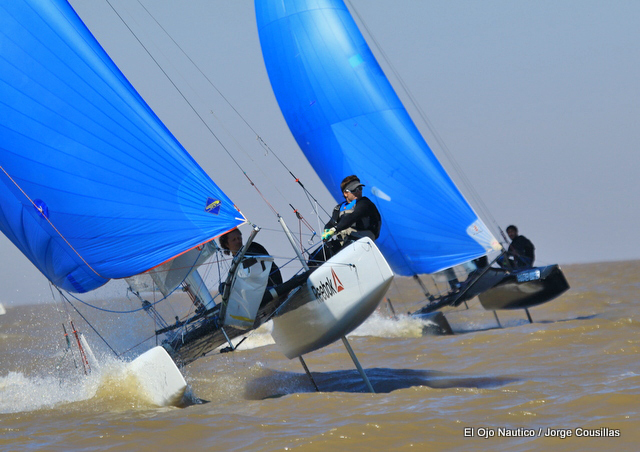 This weekend 6 races completed, 3 on light winds where Agustín & Juan Krevisky scored 2,1 & 2 with the Exploder & C2 Rig / Nacra Spi, and yesterday in the breeze multiple Arg Champs Cruz Gonzalez Smith & Mariano Heuser put their experience full throttle in excellent 14-15knots with their Nacra Infusion with 3 bullets & a 4th. 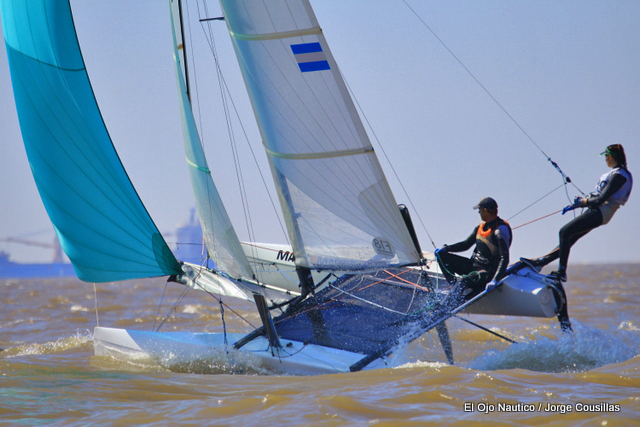 Juan Faustín & Nico Aragones (Phantom F18) getting more consistent every day, they are already fast, so scoring low will be a a target for them towards the Worlds in November. Glad to see the Exploder again doing good in light winds, the hard chines and super transom flat section is doing good as the aft bottom section is not that wide. 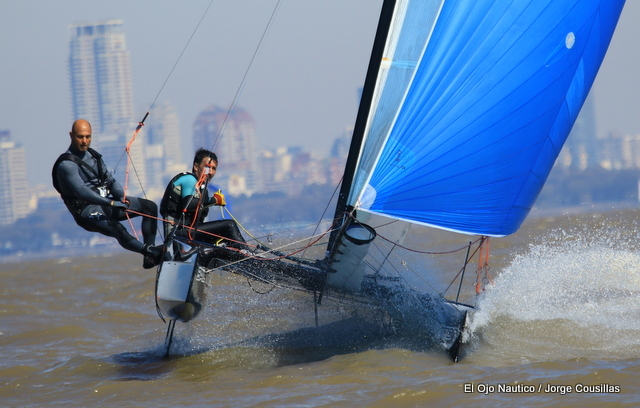 Agustín can do good with any boat in those conditions, but is good to see how the boat responds to his skills. On Sunday with more breeze they did good sailing now with Billy Lopez Segura but had some rigging issues with trap & cunnigham finishing the day racing with 1 trap only. 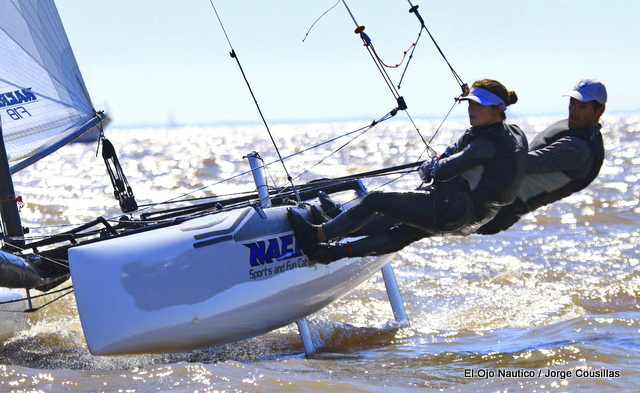 We are having some girls racing with us now, Euge Bosco comes from the 29er fleet, and lately Nacra 17 campaign, also Victoria Travascio (Olympic 49er FX) crewing for another Olympic sailor Julio Alsogaray (10th at Rio). 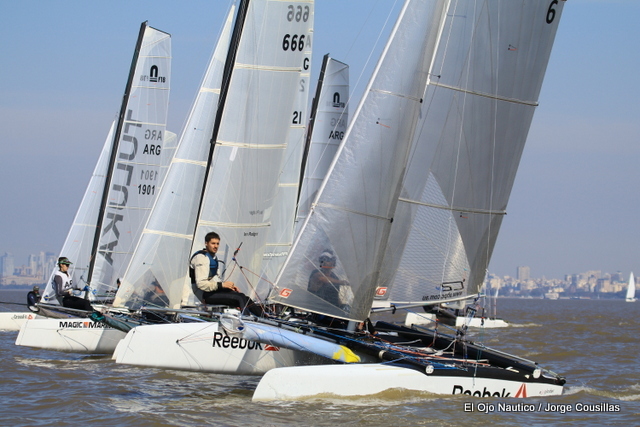 Preparations events will start October 1st at Buenos Aires Week , later Arg Nats and finally the Worlds to be held on October 28 - Nov 4. 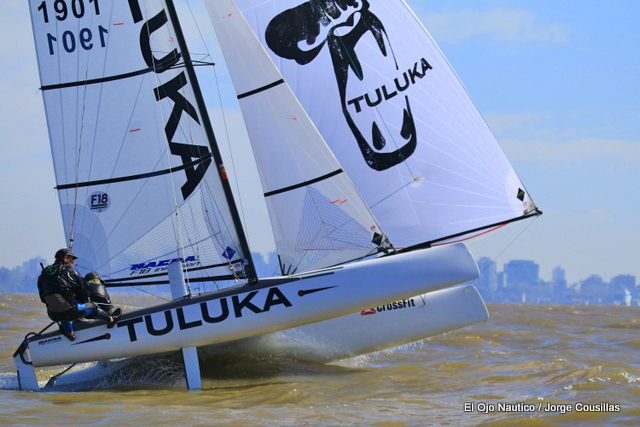 We expect to put +25 Arg boats on the lineup. Below current results after 6 races, next weekend two more days.